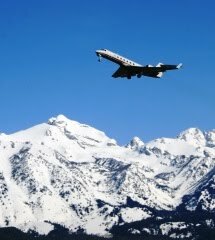 New Flight Charters, Jackson Hole’s largest private jet charter company and a leader nationwide, announces a new program of select specially-priced flights to and from Jackson Hole Airport for 35-45% less than normal charter rates. Working with select jet operators in the mountain west, New Flight Charters has launched Jackson Hole Specials – new exclusive pricing to and from Jackson Hole on select top-rated private jets, including the Learjet 31A, Citation Excel, and Hawker 800XP, all carrying two of the most arduous safety achievements; the ARG/US Platinum rating and IS-BAO Registration. Flights between Jackson Hole and California Bay Area airports are only $6,900 in the 7-passenger Learjet 31A, and $8,900 in the larger Citation Excel midsize 8-passenger jet. To or From Southern California Airports runs only $7,500 in the Lear 31, and $9,900 in the larger Excel. Portland or Seattle quote only $5,900 in the Lear 31 and $7,900 in the Excel. Scottsdale, Arizona is $8,500 in the Hawker 800XP midsize jet seating 8 passengers. Specials are available for a number of select dates, ongoing and subject to change; see Jackson Hole Specials for dates, details and aircraft photos. Rates are 40-45% less than standard charter pricing. New Flight Charters is working with the largest and highest rated jet operators in the Rocky Mountain West in bringing these exclusive rates to Jackson Hole. Headquartered in Jackson and regarded as the regional leader since 2005, New Flight Charters specializes in popular private jet empty legs available for the Wyoming-Idaho-Montana region. An Empty Leg refers to an aircraft that must fly empty between two points for any number of reasons, and can be booked as a charter for greatly reduced rates, as low as 50% of normal charter costs. It is estimated that one third of private aircraft flights are empty. New Flight Charters publishes the Jackson Hole Top-25 Empty Legs which are available on its Jackson Hole Jet Charter website. Celebrating its 11th anniversary in 2015 and named to the Inc. 500 fastest growing list four consecutive years, and the only registered and insured local jet charter company, New Flight Charters has arranged over 12,000 private domestic and international flights at leading jet charter pricing with its Best Price Guarantee and a perfect safety history. The company features an acclaimed six-member management team with a cumulative 43 years in private jet charter, 49 years FAA-certified experience, 99 years executive management experience, 17,400 hours pilot-in-command, and includes private and commercial pilots and retired law enforcement. Client and industry reviews are available on the New Flight Charters website. The company serves a wide variety of clientele including Fortune 500 companies, government heads of state, presidential campaigns, entertainment icons, private families and entrepreneurs. Wow unbeliavble offer ever .I would like to avail the offer and no one should dare to leave a offer like this .Charter Flights Houston is holding the country's finest private jet charter administrators & Rental Service into an across the nation system. We are giving voyagers the capacity they have to houston charter jet with certainty & effortlessness. We spare time and the anxiety free approach to go on your calendar with certainty.